In 2014, I was in pursuit of a career plan for the next 20 years of my life and chose to leverage my IT experience as a software developer to shift into consulting as a business intelligence and big data analytics expert. In search of a graduate program to help propel me into that evolving field, I spent more than 100 hours researching many data science and analytics degree options. The core curriculum and available electives seemed to be a well-balanced mix of business application, management, and technical disciplines. The industry-experienced GPS faculty was a benefit because it enhanced my learning based on my prior undergraduate experience. As an Army Reservist, the ability to conduct coursework online is an essential benefit. Moreover, the 10-week terms with a significant break between them promote a good work, school, and life balance, enabling students to complete the program in only 2 and a half years, taking one course at a time. The tuition fees were lower than other competing schools, and would be covered by my Post-9/11 GI Bill® VA benefits by 90 percent. Since I started the Strategic Analytics program with GPS in spring 2015, I have completed seven courses toward my degree thus far and plan to graduate in the summer of 2017. Much of the knowledge that I’ve gained from the coursework has been directly applicable to my current position as an archival data systems development consultant. From what I’ve learned, I’ve been able to conduct more focused data analysis and produce more meaningful results to management, which has helped me earn their confidence and trust. As a result, I was given the lead role in spearheading my client’s business intelligence and data management strategy for analytics in September 2015. My return on investment is being realized even before completing my degree requirements. Charging through the academic rigors of the program’s coursework and research has been achievable without a major sacrifice from family time and other activities. Living and working in Charleston, SC, with my wife and five-year-old daughter, my evenings during the week and weekends are well-balanced. Not every evening is spent doing school work, which my wife is very happy about. 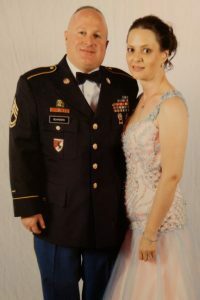 While taking at least one course per term, I am able to work a challenging full-time IT job, lead a platoon size unit in the Army Reserve part-time, play drums in a professional local rock band, and spend plenty of quality time with my family. I am grateful to my employer who pays for my remaining 10 percent tuition out of pocket. Now that GPS offers a 15% discount on tuition for active military and veterans, that saves my employer and the VA around $500 per course. Choosing the MS in Strategic Analytics at GPS was one of my best decisions, as it has proven to better my quality of life. Steve Boardman is a software development professional with over 20 years of experience providing leadership in developing IT solutions for a variety of industries. 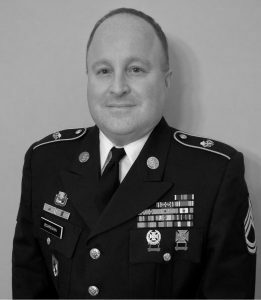 He specializes in Enterprise Architecture (EA), Business Intelligence (BI) Strategy, Enterprise Data Warehouse (EDW) Implementation, Service-Oriented Architecture (SOA), Systems Integration, Application Development, and Legacy System Migration. GI Bill® is a registered trademark of the U.S. Department of Veterans Affairs (VA). One of the most valuable skills in any workplace is the ability to communicate effectively and professionally. Although every professional uses differing language relating to his or her field, communication skills allow for one to thrive in a collaborative work environment. In order to succeed, professionals need to be comfortable speaking and presenting in a range of environments, from small meetings, to larger individual or group presentations. While many people are often not comfortable giving speeches or delivering presentations in professional settings, through practice, these skills can be honed and perfected. Develop verbal and nonverbal communication styles by applying verbal and nonverbal skills in various speaking situations; videotaping and viewing one’s performance; critiquing one’s style; and receiving diagnostic evaluations. Use techniques, such as cognitive restructuring, to reduce speaker apprehension. Increase effectiveness in informative and persuasive message development using audience analysis, principles of organization, principles of Aristotle’s rhetoric, language devices, and supporting material (examples, narratives, testimony, and facts and statistics). Write with clarity, brevity and vigor. Strengthen self-awareness, assertiveness skills and listening skills to improve interpersonal, small group and public communication. Analyze best practices for running an effective meeting. Critically evaluate messages in terms of various criteria for effectiveness. This course is available for professional development or as part of several GPS graduate programs. At GPS, you can take up to two online courses without officially enrolling in a program. This is a great opportunity to get to know our programs and approach to online learning. View our full course catalog here, and preview our spring 2017 courses here. Registration for the spring 2017 term opens on December 20. Questions? Contact our enrollment team at gps@brandeis.edu or 781-736-8787. 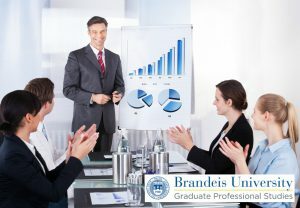 Brandeis University’s Graduate Professional Studies division (GPS) is dedicated to developing innovative programs for working professionals. GPS offers 11 fully online, part-time master’s degrees and one online graduate certificate. With three 10-week terms each year, Brandeis GPS provides exceptional programs with a convenient and flexible online approach. Courses are small by design and led by industry experts who deliver individualized support and professional insights. For more information on our programs visit the Brandeis GPS website. When you hear the word “writing,” what image jumps into your head? Likely it’s not picking up a pen or opening a notebook, as most writing today takes place on digital platforms. Whether we’re drafting copy for a website, social media, a blog post, or an ad, writing for digital environments introduces a whole new set of factors to consider as we seek to achieve our writing goals. For example, identifying strategic keywords when writing online content can help optimize a piece to successfully reach a target audience. It’s also critical that we understand why various online platforms require different types of writing, whether it means monitoring character counts or using hashtags or abbreviations. In marketing, these tactics, along with others, are important to consider to make sure that whatever is being marketed is done so in an efficient and effective way. Writing for Digital Environments is an online course that provides detailed information about how to write copy and messaging for various digital formats. Part of the MS In Digital Marketing and Design graduate program, the course subject matter gives special attention to differences in form factor, audience targeting, and SEO (search engine optimization) implications of various types of content. Content marketing tactics are explored in detail. View more information and course prerequisites here. Those interested in the course who do not yet wish to pursue a full master’s degree can still participate. At Brandeis GPS, you can take up to two online courses without officially enrolling in a program. This is a great opportunity to get to know our programs and approach to online learning. View our full course catalog here, and preview our spring 2017 courses here.